Church Barn is a beautifully converted 17th Century barn offering luxurious, peaceful accommodation beside the 12th Century Little Marlow Church. 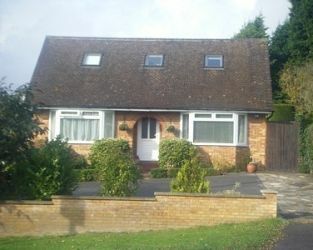 It is set within a lovely acre of garden with a tributary of the Thames flowing past. The Thames is a 5 minutes level walk through the Country Park straight out of the gate. 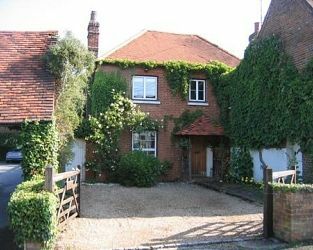 The Old Cottage bed and breakfast is an attractive period property situated in Bourne End, a short walk from the River Thames and approx.10 minutes' walk from the village centre and railway station. Marlow, Henley, Windsor and London are all within easy reach. Internet access and off street parking is available. Comfy beds, a cosy atmosphere in a Chilterns home and a warm welcome at Clovers B&B. We're handily placed between High Wycombe, Amersham & Beaconsfield. Though close to countryside, the M40, M25, Heathrow (30 min) Windsor (35 min) Oxford (35 min) are all within easy reach. Amersham station is 5 miles away with underground or Rail into London (30 mins). Free wi-fi, off road parking. Visit Beaconsfield Buckinghamshire and the surrounding villages and stay in bandb, hotel or self catering cottage accommodation provided by BedPosts members. Beaconsfield, a market town in the Chiltern Hills in Buckinghamshire, is on London's commuter belt. It's history dates from 1185. Today it is a prosperous and picturesque place. Beaconsfield is an elegant town with old inns, timbered cottages and many creeper-clad 17th century houses. Here the London-Oxford Road (A40) becomes a fine wide street between mellow Georgian red-brick buildings. The 17th century church has a great pinnacled tower and memorials to Edmund Burke, philosopher and politician for Whig party who died in Beaconsfield in 1797 and Edmund Waller who was a poet also a politician who died in 1687. The half-timbered rectory dates from 1543. The surrounding countryside was at one time thickly wooded, and a haunt of highwaymen and footpads. It is claimed that sword cuts on the staircase of the George Inn were made by the highwayman Claude Duval while fighting off Bow Street Runners. Penn's Quaker Meeting House and the Mayflower Barn are at Jordans, a mile east of Beaconsfield, and a mile further on is Milton's cottage at Chalfont St Giles, where he wrote Paradise Regained, the sequel to Paradise Lost. Read about the local attractions you will want to visit during your stay in Beaconsfield B&B or hotel accommodation. Visit Bekonscot model village the first of its kind in the world. 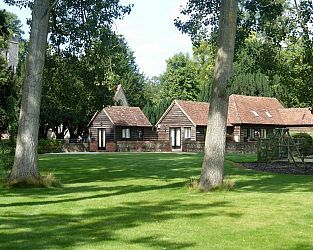 If you seek accommodation near Beaconsfield in Buckinghamshire you have come to the website of a “club” of providers who offer affordable quality accommodation around UK in hotels, bed and breakfasts, guesthouses, inns, and restaurants plus self-catering cottages and apartments .